What kind of watch should a nurse have? What makes a great watch for law enforcement officers? Durable: Wrestling, bashing down doors and other high impact activities on top of general day-to-day duties require a watch that is capable of taking a real beating in a variety of environmental conditions including resistance to water. Affordable: Until you rise the ranks, it doesn’t really make a lot of sense to outlay a lot of money for a watch that can easily get misplaced, broken or even stolen. Discreet: Something flashy has the potential to go down the wrong way with superiors and colleagues as it can be single you out for thinking you’re better than others and perhaps not a team player. Best to fit in for a few years, earn your reputation then upgrade to something more suited to your personality. Illumination: This one is little subjective as rookies doing night and morning shifts may very well need strong illumination and a night light. Others may require a stealth watch if they are in a tactical position. Taking the above attributes into account, we’ve reviewed many watches and narrowed our choice down to the following top 5. Popular and unassuming choice. Great for rookies finding their feet. The entry level G-Shock by Casio has a lot going for it. It’s cheap, super tough, shock resistant and has enough basic features to get the job done. Given the price, popularity and unassuming nature of this watch, there is very little downside to purchasing one. If you like it, chances are you’ll upgrade models to something like a GWM5610 Solar (also in this list), G-Shock Mudman or Rangeman down the track. Worst case if you do decide it’s not the right watch for you, at least you haven’t spent much money on it and it hasn’t drawn any unwanted attention. If you’re starting your career as a police officer, we think this is the best G-Shock option. The Suunto Core All Black (or Military) is a popular watch that comes packed with a host of features. An affordable Altitude, Barometer & Compass (ABC) watch that has a good backlight when you need it. Other features include a storm sensing function that recognises a drop in air pressure and sends you a warning. Note, there is no GPS function. 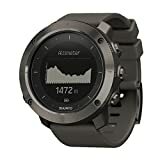 If you need GPS you’ll need a Suunto Ambit3 or similar model. The popularity of this watch has led to it achieving cult status, which has only increased since the release of the popular Equalizer movies where Denzel wears a slightly modified version of the Suunto Core All Black. The biggest downside to this watch for a LEO is actually its good looks as it has the potential to draw a little too much attention from superiors. This watch is one to consider if you’re after a feature packed watch with sleek good looks. This could easily be your 24/7 watch, which is certainly something to consider as it means you’ll never have to remember to change watches for duty. If you’re comfortable wearing a slightly flashy watch, there’s very little stopping this from being the watch for you. Arguably not a super good looking watch. May need an off-duty watch. 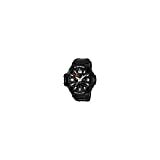 The G-Shock GWM5610 Solar is about as close to a set and forget watch as you can get. With a solar power source and atomic timekeeping, you really don’t need to worry about anything. Add in the toughness of a G-Shock watch, water resistance of 200m (660 ft) and a discrete square form factor, you’ve got a watch that many LEOs swear by as their main duty watch. The downsides are minimal. It’s solar powered, so if you’re using the light for an extended period of time it will reach its limit and stop working until exposed to sunlight again. Of course looks are subjective. But, I think it’s fair to say this isn’t the sexiest watch on the list. That is great whilst on duty as it won’t draw attention, but the flip side is you may want another watch when off duty. Bottom line is this is a fantastic watch for the on duty LEO. It is roughly double the cost of the other G-Shock on this list, so whether you choose this will depend on whether you like the convenience of solar power and atomic timekeeping in a discrete package. The Seiko 5 SNK809 is an entry level automatic timepiece that has packed great build quality, versatile styling and durability into an affordable price. It is an automatic, which means it is self winding with arm movement. Once fully wound, it has a 40 hour power reserve. You will need to move around 8 hours each day to ensure it maintains power and accuracy, but this should be fine unless you’re an officer normally chained to a desk. This simple yet stylish stainless steel watch can easily be dressed up for any formal events with a new strap/bracelet. It’s simplicity also means it isn’t overly flashy, so it shouldn’t catch any unwanted attention. The biggest drawbacks are that it’s an analog which clearly doesn’t have a lot of the digital features and instant readability of the digital watches in this list. This may be a huge issue depending on the requirements of your job. If you are in the market for an affordable, durable and simple automatic that you can wear 24/7, the Seiko 5 is certainly worth exploring further. Potentially a great option for police officers as they start to move up the ranks. We are big fans of the Luminox 3051 as it’s easily one of the best tactical watches for LEOs. We’ve previously written about this watch specifically for police officers and whilst it is the most expensive in our list, it is still an affordable option for most. The readability of this watch under ALL conditions, including darkness and underwater is what really makes this watch stand out (pun intended) from the rest. The tritium in the hands and markers is made from a radioactive isotope that slowly decays over time. This is different from most other watches that use phosphorescent inserts that need to be recharged by an external light source. The Navy Seal pedigree means this watch has top, reliable water resistance too. If your role involves a lot of water contact you might also want to consider a good dive watch as part of your gear setup. We’ve feature the black out version here to complete the tactical, military watch feel. But you could easily opt for the regular/non-black out model. The case is made from stainless steel with a Carbonox coating which increases durability and provides the nice black matte finish. This watch clearly isn’t for all LEOs. And we accept that. We’ve included it here as a good tactical option or those that value luminosity above everything else. Are you a LEO with more suggestions we should review? Please feel free to let us know what you’ve been using below and whether you’d buy it again. There are few things that are more chaotic than a nursing shift. Whether it is in the ER or in a pediatrician’s office, finding the right watch to keep track of time, while being able to endure all of the tasks you have throughout the day can be difficult. A great watch for a nurse starts with readability. When you are in the middle of a shift, you want to be able to look down, see the time, and get back to what you need to be doing. Small numbers, artsy designs that make reading the watch difficult, and other factors can be frustrating for you during the day. To find the right watch, you want easy to read numbers, a clear line for each minute within the hour, and if it had a digital reading as well, that would be great. Nurses are also required to wash their hands constantly, as well as work with liquids and bodily fluids. A water-resistant watch is a must because no nurse has time to take their watch on and off for every single wash. Having a water-resistant watch also helps you to easily clean your watch, another important part of a nurse’s day. The field of medical care is a messy place, so being able to rinse off your water-resistant watch while washing your hands is incredibly helpful. So, what are the best watches out there, that meet these requirements and provide a comfortable option for nurses to wear? This watch provides all of the things that a nurse needs in a watch. If you are looking for the highest readability in a watch, the G-Shock has you covered. It has a UV-LED Neon-Illuminator light that works automatically to make your watch more visible when it is receiving less natural light. Each quarter, five-minute mark, and individual line on the watch is clear and it is easy to see exactly what the time is at a glance. If that is not enough to convince you of its readability, it also has an easy to see digital reading of the time at the bottom. You will never be stuck squinting or trying to figure out where the minute hand is again. The G-Shock is also incredibly durable, which is important for nurses on the job. It has a scratch resistant mineral dial window, is water resistant for up to 200 meters, and is shock resistant to avoid damage when dropped. The combination of scratch resistant material and water-resistant protection for the watch makes it great for the chaotic situations that come up throughout the day. This watch is easy to clean, easy to read, and it is completely water resistant (unless you are planning a deep-sea dive), so it checks all the boxes for a nurse in need of a suitable watch. 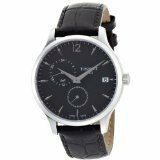 It is also a fairly priced watch with options available at $168.22! The Nautica Unisex Atlantis watch is absolutely perfect for someone that needs a tough, versatile, and simple watch throughout the day. For nurses that need a reliable timepiece, this watch offers extremely high visibility. Every 10-minute mark is labeled in large print on the outside so that you have an easy way to check the time throughout the day. With large, white, bold lines at every 5-minute mark, and clear hour, minute, and second hands, this watch is perfect for a nurse. Another great feature on this watch is the stainless-steel material. Having an affordable, durable, and easy to clean material on your watch is important, and this watch has it all. The dial window is made of scratch-resistant mineral so that you do not have to worry about the different times it gets dinged against a door or shelf throughout the day. Its resin band material is also incredibly durable and easy to clean while providing a comfortable fit throughout the day. As always, as a nurse, you need a watch that is water resistant. With a 330 ft., water-resistant depth, this watch can endure all of the various liquids that will inevitably come its way throughout the day. With the combination of water resistance, stainless steel, and a resin band, you know that you can safely clean your watch after it gets dirty, which is bound to happen. This watch is simple, straightforward, low maintenance, and comfortable, which is what makes it an excellent watch for a nurse on the job (and it’s decently priced, coming in at just Out of stock). A lot of times we talk about cool or incredible watches that celebrities wear, and while we’d love to own one, they’re priced out of our reach. Not everyone is going to be able to put down $100,000 on a Richard Mille or $50,000 on an Audemars Piguet. Sometimes you need a good daily wear watch that won’t break the bank, but will last you a long time and stand up to the abuse a daily dress watch gets put through. That’s where MVMT Watches comes in. 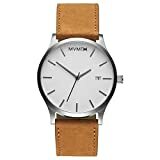 MVMT (pronounced “Movement“) is a small watch company founded in 2013 by two young men (Jake & Kramer) who dropped out of college to, as they put it, “reinvent the watch industry”. Their goal was to make smart, stylish, and functional watches without all of the markup that most watches have. After a very successful IndieGoGo campaign, they launched MVMT, stylish and minimalist markups sold direct from the manufacturer. Because the watches are only sold online and not sold through high-end retailers like other watch brands, they are able to sell the watches for very close to cost – in most cases between $95 and $150 per watch. MVMT Watches are high quality and durable watches that make for a good daily wear without being something you would worry about scuffing or catching. The watch featured below is a 45mm watch from their Classic line. MVMT watches will be Quartz movement watches, which means that they are going to be very accurate and won’t lose seconds like automatic watches. The downside is that you have to change a battery every so often. Aesthetically, it means the second hand will ‘tick’ instead of ‘sweep’ the dial. MVMT watches feature a mineral glass composite crystal. This is a good middle ground between a high end sapphire crystal and a cheap plastic one, allowing them to save costs but not sacrifice quality. As I can tell, MVMT watches are generally all going to be water resistant to 3BAR, which means you can wear it in the rain, but you shouldn’t swim or shower with the watch. If you’re looking for an affordable watch option, but don’t want to shell out $500, $1,000 or more, then you should check out MVMT Watches. Their classic line is available on Amazon (here), and even more options are available on their website (here). They have watches in a few stores around the US, but it would be better to just order online and let them ship it to you. The F16473/1 by Festina is not currently available for retail sale, so you would have to find one used. The Quartz ref. F16486/2 by Festina, however, is a very close relative that achieves the same look and feel as the watch in our photo and comes in at a very reasonable $100. The Festina Quartz Men’s watch is a 45mm quartz movement watch with a magnified date display at the 3 o’Clock mark and an independent second hand at the 6 o’clock mark. It is water resistant to 5 bars, or about 50 meters. The crystal that faces the watch is a mineral crystal composite, an affordable crystal to put on a watch. The structured dial is illuminated fluorescent green in the dark, and the strap is leather in an alligator pattern. As watches go, this is a wonderful piece to own. It gives the look and feel of a luxury watch without the high price tag. If you’re throwing on some khakis and a polo and heading out and need a simple, functional, and stylish watch, you won’t go wrong with a Festina Quartz. It makes for a great every day wear and because of its inexpensive price tag, you won’t be too bothered by any scratches or scuffs that may occur. You may find that the crystal scratches, and you will be replacing a battery every so often, but if either of these ever gets unbearable, you can always swap it out for a new one as they’re very affordable watches. All in all we think the watch is stylish and it makes for a great header picture. If you’re looking for an inexpensive daily wear that will last for quite a little while, we recommend the Festina Quartz. The Seiko Prospex Padi Solar recently made our list of top dive watches for 2019 due to its strong feature set at an affordable price. Water Resistant vs Waterproof Watches - Is there a difference? Titanium vs Stainless Steel Watch - Is Titanium Worth the Cost? What Kind of Watch is run by Elise Tigner. Shamelessly addicted to celebrity fashion with a severe case of wanderlust. When I'm not writing for this website, I work in marketing for a Las Vegas company. Please email me if you'd like to contribute to WKOW. Are you obsessed with watches too? I welcome the occasional guest contribution from other watch lovers. Especially if you can get an inside scoop on a celebrity wearing a watch that isn't available anywhere else! Contact me via email for full requirements. Some links on this website may be affiliate links. This means we make a small commission (usually about 6%) if you click through a link from our site and buy something. This commission is paid to us at no additional cost to you.